The Flying Engineer was invited by the director of IGRUA in 2010 to experience India’s premier flight school first hand. IGRUA is in fact more than just a flight school, its an “Akademi”, with facilities, instructors, and aircraft that set it apart in an unmatched league of its own. Barring the nasty games that airlines play in the placement process, this flying school/institute/academy can deliver quality. IGRUA is one of only ten flying training institutes, globally, to be part of the CAE Global Academy. If IIT is for technology and IIM for management, then IGRUA is for Flying Training. Inside a Socata Trinidad TB 20 aircraft, at an airfield about a hundred kilometres from Lucknow, initial pre-start checks were made by a student in the presence of an instructor. The gull doors of the aircraft were closed shut, the engines started, and after a brief warm up, the aircraft started taxiing towards the threshold of Runway 09 of the airfield at Fursatganj. The controllers cleared the aircraft to line up on the runway, and soon, take off power was applied. The feel was very different from what one may experience in an airliner, but the environment in which a student pilot is made to fly, surpasses the professionalism practiced by most airline pilots. With this, and an airspeed of 80 knots, the aircraft smoothly rotated, taking wings into a beautiful morning, with the sun, the Ministry of Civil Aviation, and a 25 year glorious history of Indira Gandhi Rastriya Uran Academy backing its majestic flight into the morning sky. A TB-20 returning from a training flight. Better known in the professional aviation circles as IGRUA, the premier flying training institute of India, this academy, which celebrates its Silver Jubilee year come September 2010, had its foundation stone laid by the former Prime Minister of India, late Capt Rajiv Gandhi, who, as the title suggests, was a pilot himself; flying the Boeing 737-200s for Indian Airlines. Since then, the academy has followed only one trend: excellence through continuous betterment, discipline, and unparalleled infrastructure. A one time exploration of the flying institute reveals so much about the academy, from the fleet, the maintenance, the safety standards, the ground training, flight training, aerodrome and ground school facilities, the instructors, and finally, but most importantly, the students. Student pilots in a ground class. IGRUA, he and his team of four highly experienced retired air force officers take four months of ground classes for the students. This is where students pick up the necessary theory, through classes which cover aircraft technical, air navigation, air regulations, aviation meteorology, and radio telephony. Once done with the theory classes, the Chief Engineer and his staff put theory to action by conducting a week long technical class at the Flight Operations Centre (FOC), wherein students are shown the parts of the airplane, flight controls and linkages, instruments, systems, and everything that a pilot is supposed to know about the aircraft. Following this, an experienced flight instructor conducts classes on the aircraft specific airplane flight manual (AFM), which contains a description of the airplane and systems, airplane performance, operating limitations, normal and abnormal (emergency) procedures. The students are then put into simulators of the aircraft in IGRUA’s training fleet. This is where they get their first taste of flying, without leaving the ground, either in the fixed base TB-20 aircraft simulator, or the fixed base Diamond DA-40 simulator, both types totalling four simulators. Destiny takes students to different training aircraft; all part of the academy’s fleet of 27, which is the largest in the country. 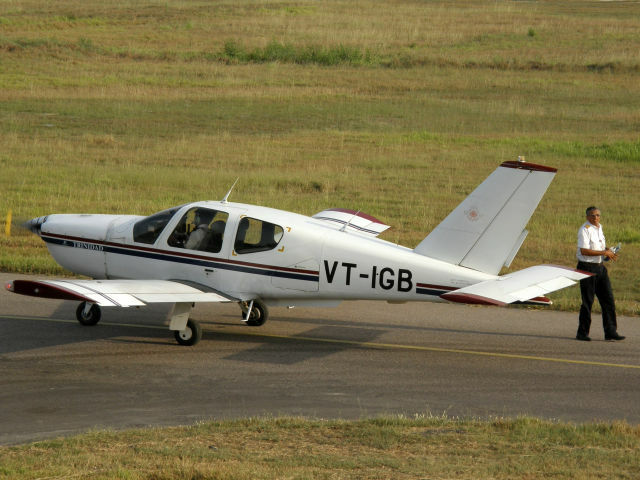 The workhorse of IGRUA’s fleet, years back, was the French Socata TB 20 Trinidad, from a company that supplies the aero structures on the Airbus A330 and A340 family of aircraft. The aircraft is a single piston engine, four seat low-wing airplane that is high on performance and the dream of many students who are to start their flying in the institute. The cockpit however, is a classical one, with electromechanical gauges that, although romantic in their appeal, do not hold much significance in the present world of glass cockpits, wherein a single display screen may display multiple flight, navigation and system parameters, with modes that may be selected by the pilot for a greater degree of situational awareness and clarity. Since IGRUA’s aim is to train their students in line with the needs of airlines, the high performance TB 20 fleet, now operationally left with 5 out of the total12 that made it to IGRUA, has seen itself gradually being replaced by aircraft from Diamond industries. The first set of Diamond DA40s arrived at IGRUA in Aug 2009, followed by the remaining set in Dec 2009. In all, 14 brand new Austrian single piston engine Diamond DA 40 aircraft made their way to IGRUA’s training fleet. The aircraft is an excellent trainer with a fully glass cockpit featuring Garmin G1000 units which provide all necessary information on just two big screens. The multi function display units also provide the aircraft’s position, as seen on a map, thereby providing the pilot with a better situational awareness. A DA-40 taxiing into its parking stand. Also on the single engine piston fleet are 6 Czechoslovakian Morava 242-L aircraft from Zlin. These aircraft, which arrived in 2005, feature a stick control like the Diamond DA40s, and unlike the TB 20s which sport the classical yoke. Initial training is sometimes imparted on the classical analogue cockpit 242-Ls, before transitioning students to either the DA 40s or the TB 20s. Obtaining one’s multiengine rating license requires 10 hours on a multi engine aircraft. For this, IGRUA has two Beechcraft King Air C 90s, both of which were manufactured in 1986. These globally popular aircraft provide students the much needed hands on experience on multiengine aircraft, and their first taste of airline-like flying. Says Pankhuri Aggarwal, who passed out from the 5th “C” ab-initio batch, “Flying the C90 was very different from the single engine, lighter planes. The aircraft is extremely stable, but the environment in which we flew was unlike anything we had experienced before”. Soon, two brand new Diamond DA-42 aircraft will join the multiengine fleet. Ensuring these marvellous metallic birds remain in a flying condition, which when not flying are housed in three huge hangars, is the task of a very enthusiastic Krishnendu Gupta, the Chief Engineer at IGRUA. The Engineering Department, headed by him, has very well equipped workshops in which overhauling and maintenance of aircraft are performed as specified by the manufacturer and approved by the Directorate General of Civil Aviation, DGCA. 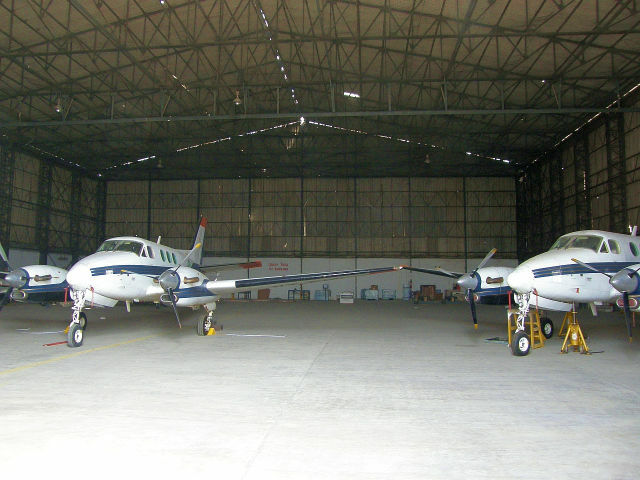 A quality control cell, an avionics shop, a battery shop, an instrument shop, a non-destructive testing shop and an engineering store provide IGRUA with the necessary facilities to not only keep the aircraft on ground for the least amount of time, but also provide students with absolutely safe aircraft to fly in. Within IGRUA’s campus are located hostels, staff quarters, playgrounds, a mess, and the most important: the Ground Training Department. Headed by the Chief Ground Instructor, Wg Cdr Sudesh Kumar, the GTD houses something which no other flight school in India can boast of: a Full Flight Simulator (FFS). The C90A FFS with IGRUA allows student pilots to get a good feel of the aircraft before stepping into the real multiengine turboprop. Besides this, IGRUA has four other simulators, albeit fixed base. Two cockpit procedure trainers for the TB20, and two Diamond DA 40 fixed base simulators. Students, before flying their aircraft, are instructed on these simulators, preparing them for the real thing. As a result, what a student has with him is comfort, confidence, and familiarity: essentials for flight safety. A DA-42 simulator is on its way to IGRUA. A huge library, with both electronic and print material provides the students with more than what they need to study. Capt Depak SD, who passed out of the 21st CPL batch of IGRUA and flies for a 5 star private airline, “We used to get books from the library in which some seniors would have written their IGRUA ID number. We used to check where he or she is employed now. Ninety percent all were in Air India. That used to give us a boost”. About 2 kilometres from the campus is located the airfield, with an ICAO designation of VIRB. North of the 6000ft runway lay the blue hangars, next to which the Flight Operations Centre, FOC, is located, with an ATC room on the top. 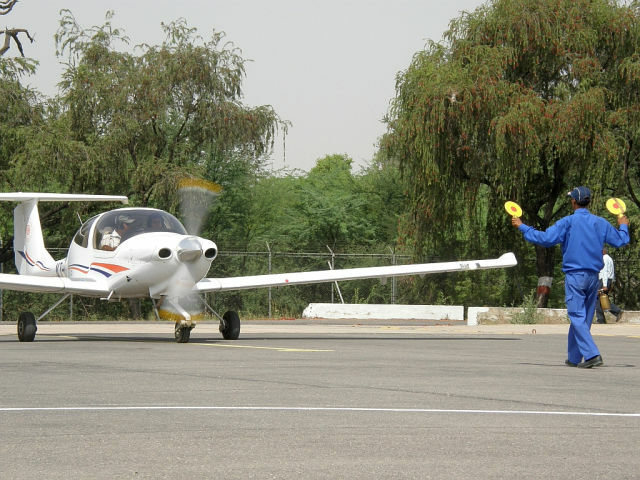 The Flying Training Department is headed by the Chief Flying Instructor, Air Vice Marshal (retd) Rajesh Lal. Under his able wings are 14 other Flight Instructors, of which nine are young Assistant Flight Instructors (AFI), with a pure civilian background. Although a deviation from the normal trend of taking in highly experienced retired Indian Air Force officers, the young AFIs are of a very high standard, in line with the expectations of IGRUA. While three of the AFIs were inducted earlier, it was in the December of 2009 when IGRUA inducted the other six, from amongst its top ex students; a first of its kind for the academy. In fact, the growth in aircraft fleet and instructors is a result of the increase in the intake of students. Three years back, when the Indian civil aviation sector was reeling under a severe shortage of pilots, Air India, which had plans of acquiring 68 aircraft for US$11 billion, projected a need for 100 pilots every year, till around 2014. 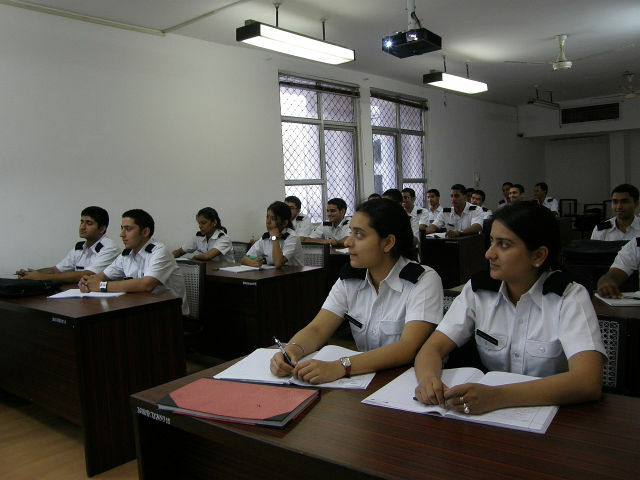 Air India, which normally recruits pilots from IGRUA, used to take in almost all of the 40 + students, every year, making the institute the only one which placed its students on-campus. However as the supply of pilots was not met, Air India started looking overseas for pilots. It was then that IGRUA entered into a management contract with a global aviation giant – CAE, Canada, which is a world leader in flight simulation and training. IGRUA is now one of only ten such flying training institutes, globally, to be part of the CAE Global Academy. Under CAE’s management, IGRUA reduced the training period from two years to about 15 months, while ramping up the intake from 45 students to 100 students per year. For an institute, this is a sudden growth, which saw new aircraft arriving, along with the induction of more flight instructors. Avineesh Gupta, one of the three young AFIs, is a testimony to the uncompromised standards. On a clear morning, he strode into a briefing room with two cadets, where he briefed his students in a very clear, methodical, and amiable manner, which not only put the students at ease in asking questions, but also effectively drove in the manoeuvres he would be making them practice. A snapshot of an IFR training flight for a student pilot. Up in the air some instructors are an absolute sight to behold: through their constant encouragement of the student pilot, by not coming down harsh upon him or her. Some of the sorties were flown by students with less than ten hours. As a result, their flying was understandably sloppy, but the words of instructors from the old school of thought, like Capt (Retd) Wg Cdr Harinder Singh, or those from the new school of thought, like Capt Avineesh Gupta, help put the student at ease, though in different ways. One does not get ahead by looking at what has passed, but by focusing on what lies ahead. An extremely passionate Sushank Gupta, who recently started his flying training, is all praises for the kind of duties students are made to perform at the Flight Operations Centre (FOC). Before getting his flying, he had to spend days at the dispatch, keeping a track of pilots going flying, pilots returning, taxi out and taxi in times, ensuring the bowsers fuel the aircraft. “The exposure is very good, and we learn a lot”. In case a cadet fell sick, it was part of his duty to help with the FOC’s responsibility in finding someone who could fly that day. Captain Praveen Chandra, a commander on the Airbus A320 aircraft with Indian Airlines, passed out of the 14th “B” batch of IGRUA, in the days when the institute would take in only PPL holders and train them to obtain their CPL. Having tasted two different flight training institutes, he appreciates IGRUA more than the present batch of students. “IGRUA pushes people to fly: something that does not happen at other flight schools. And I think this is very professional”. On an average an aircraft at IGRUA flies about 6 sorties per day, and more in summer; where one sortie is considered the interval between chocks off and chocks on. In those six, a student may get two to three sorties a day, with an hour rest between sorties. This hectic “priority” schedule is awarded to students who have cleared all their papers with the DGCA. Air Marshal V.K. Verma is very pleased with what the “Akademi” has achieved in the year 2009-2010. “We’ve logged 12,000hrs; the highest flying hours in the history of IGRUA, and we’re targeting 18,000 hours in the period 2010-2011”. The biggest challenges to flying are weather and aircraft down time. Since the latter is not an issue thanks to the excellent engineering facilities the institute enjoys, the only hindrance is weather, when it’s either raining heavily in the monsoons, or fogged in during winters. Fursatganj enjoys about 220 flying days, of which Sundays, holidays, and second Saturdays are off. To ensure that flying continues, even in the fogged in days during winter, half the fleet is flown down south to Gondia, near Nagpur, where another flying institute is based: National Flying Training Institute, the second one of its kind after IGRUA, setup recently by the government. In the process, some students get to fly the multi engine aircraft all the way to Gondia, transporting some of the instructors or students on the 7 seat C90. This is when they fly like airline pilots, from Fursatganj, over Khajuraho and Jabalpur, before landing in Nagpur, where after refuelling, they take off to nearby Gondia which does not have Aircraft Turbine Fuel (ATF). After dropping off the passengers, the aircraft flies back, again in instrument flight rules, to Fursatganj, where the aircraft, if winds are favourable, is guided to the west facing runway by the Instrument Landing System, or ILS. Apart from its fleet, world class ground facilities and its line of inspirational instructors, IGRUA boasts off navigation equipment which no other flight school in India possess. The airfield has its very own class A VOR-DME (a radio navigation aid), which will allow aircraft at 10,000ft to reliably receive signals from up to 120 nautical miles away. Also installed on the airfield is an ILS for aircraft approaching the runway from the east. That particular ILS system was previously installed in Delhi’s Indira Gandhi International Airport, before making its way to IGRUA. In times of poor visibility, the ILS is the only instrument all over the world which allows appropriately certified airliners to operate without disruptions. The presence of radio navigation aids allows students to fly in an environment rich in procedures similar to that followed at major airports by airliners. Even on VFR flights, students tune in to the VOR to ensure that they fly within the boundaries of Fursatganj airspace, and many a time land with the ILS. 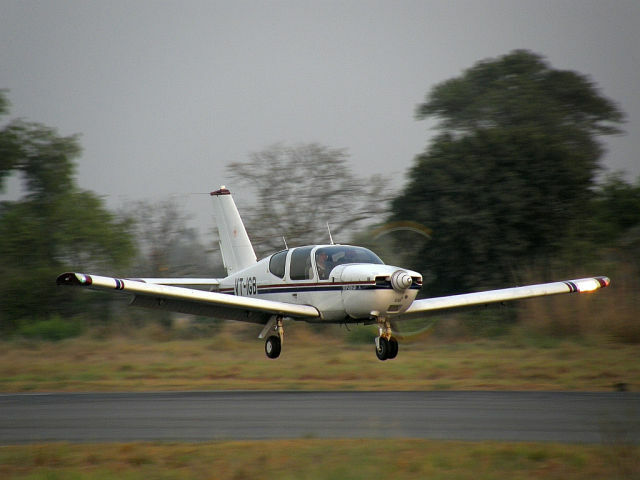 Compared to their counterparts at other flying training institutes or schools, IGRUANs have a better grip on instrument flying due to the virtually unlimited opportunities presented to them. 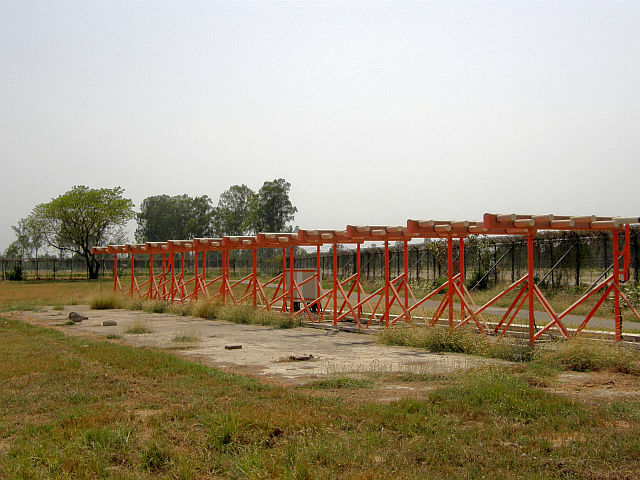 The good thing about IGRUA is that the airfield is exclusively used by academy, and the airspace, which extends 12 nautical miles in all directions with northern and north eastern sectors going upto 25 nautical miles, is completely under the control of Fursatganj, up to an altitude of 4000ft after which students pilots contact Lucknow for their flying. The restricted airspace, which is designated by the Airport Authority of India as VI(R)-152, gives students the freedom to learn without having to bother about other non IGRUA traffic in the area. Night flying is supported by the airfield, with airstrip and taxi way lighting. Also installed are Precision Approach Path Indicators on either side of the runway, which allow for a visually guided approach to the runway. Safety is given a very high importance in IGRUA. Flight Safety meetings conducted on a regular basis, in the presence of the director, allows incidents or safety issues to be discussed. Daily mass briefings include weather reports, brief on satellite pictures by IMD (Indian Meteorological Department) and emergencies. Mistakes committed by students are also discussed by them as a part of voluntary disclosure to enhance safety. The encouragement of students to actively take part in briefings and safety disclosures sets the required mindset for safe airline flying. Flying procedures are already in place, which if diligently followed, allows no room for unsafe flying. The only way to ensure safe flying, apart from providing the right training and a strong theoretical knowledge, is by enforcing discipline. If a student is undisciplined, or fails to report for flying in time, he or she is grounded for a few days. With Indian Air Force officers staffing the academy, discipline is strictly enforced, both on the ground and in the air. The instructor moving away from the aircraft with the student ready to taxi out on his first solo. Once an instructor is satisfied with the flying competency, situational awareness and decision making ability of his student, the most awaited flight, the first solo, is awarded to the student. The instructor stops the aircraft on the taxiway and alights, leaving the aircraft with a student who has never flown an aircraft alone. Friends make their way to the FOC’s balcony, watching as the aircraft taxies out to the end of the runway, where it lines up, applies take off power, and takes off into the vast open skies. In the meanwhile, fire and ambulance services would have already made their way to their standby positions, ready to rush in case an emergency does at all spring up. The soloing cadet, after following flying patterns and procedures, approaches the runway for his first ever landing. On touchdown, friends clap, waiting for the “solo party” to be thrown by the cadet. This is a major milestone during the training, earning the student his wings. Each of the 100 hours of solo flown by the students is an honest activity at IGRUA. When IGRUANs meet student pilots from other flight schools, during routine medical examinations conducted at very few centres across India, the dark truth behind other schools start coming up. 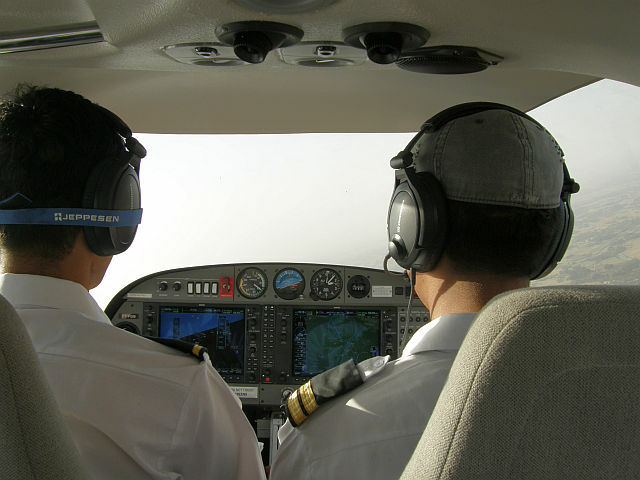 Solos are not truly solos; the instructor is still seated in the aircraft. Logging of hours at other schools is not a transparent procedure: on paying up certain sums of money, the cadet’s flying hours can be “logged” without the student pilot leaving the ground. Even more shocking is the way in which safety is compromised at certain flying schools: aircraft are dispatched for night flying even with their instrument panels not having lights. The instruments are checked occasionally by the pilot with torchlight. When an IGRUAN is seen with golden wings and his epaulettes, it is without doubt that those are decorations well earned. When the epaulette ceremonies take place, delighted students deservingly take on an added golden stripe that speaks of their true, hard earned ability to take on higher responsibilities. Many pilots in Air India and the pre-merger Indian Airlines are from IGRUA. One commander with Air India, while discussing IGRUA’s plans for the Silver Jubilee Celebrations with the CGI, spoke out, laughing, “If all the IGRUA Alumni members make it to the celebrations, the whole Indian civil aviation will come to a grinding halt”. At IGRUA, while climbing up to the first floor of the FOC, making way to the dispatch, where every pilot reports before flying, the white wall on the landing has, painted in bold red, the words in capital, “Through these portals pass some of the best pilots in the world”. This phrase, which resounds in the head of every IGRUAN and instructor, day after day, serves as a constant reminder of who they are and how their behaviour must reflect the legacy of the twenty five year old premier institute. IGRUA is truly one of a kind, second to none in India, and part of a small elite group of flying training institutes the world over. Air Marshal V.K.Verma inspires IGRUA which in turn inspires everyone to be a pilot.